It’s odd to think that the cheeky and fun-loving Mini Cooper grew out of the austerity of post-war Britain, when fuel-rationing inspired by the Suez Crisis made small cars a necessity. The Mini was born in 1959, just in time to motor into the swinging sixties, capturing the hearts and minds of a new generation of car-loving and car-owning consumers along the way. 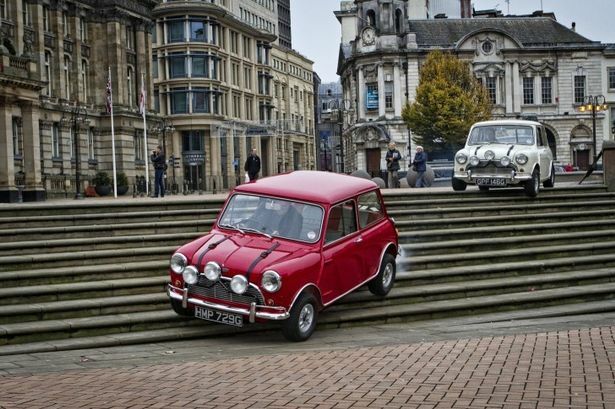 Famous movie: The Mini was famous for its role in the 1960s classic The Italian Job. Small but perfectly formed, the Mini has fought off criticisms of its tiny boot and low-slung chassis to cement its place in motoring history – today celebrating its latest incarnation as the 2015 Mini Cooper Hatch, the latest in a long line of constantly modified and updated models. Whatever else you think of the Mini, you can hardly question its character. This is the funky car which charged through The Italian Job starring Michael Caine in the 60s and made its way into the arms of car giant BMW in 2000, where it morphed into a series of sleek and sporty models befitting a new century. The Mini has kept its pride and dignity throughout its many facelifts, though there are plenty who question its foray into beefed-up racing and four-wheel drive engines in a bid to appeal to customers wanting more oomph from their small car. 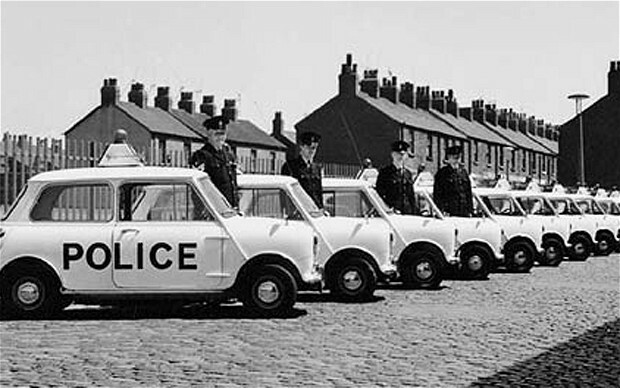 Cop that: English Bobbies of old guard their fleet. The original Morris Mini Minor was the brainchild of talented engineer and designer Sir Alec Issigonis, who launched the car for British Motor Corporation in August 1959. In 1961 it was renamed the Austin Mini, and eight years later became a marque in its own right. 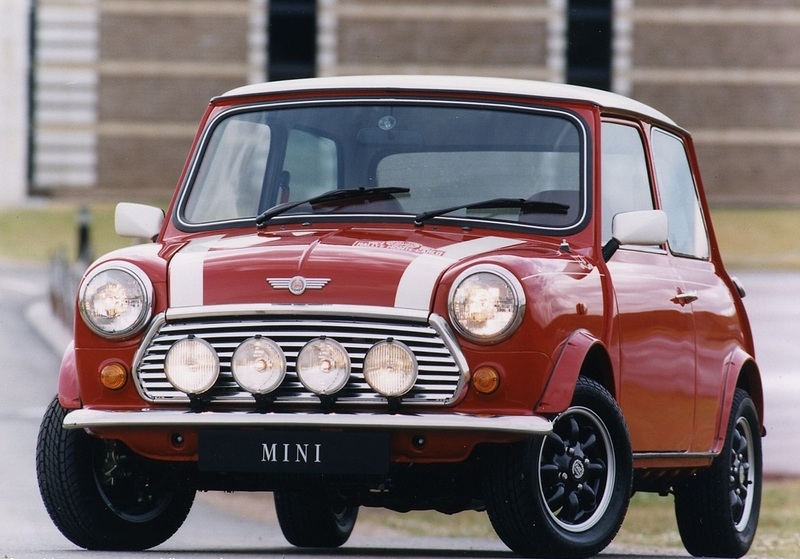 The Mini revolutionised the small car and fast became the best-selling British car in history. It underwent any number of changes of name and engine over the years, but it was the standard two-door model that kept the most timeless appeal. In fact, the final model which rolled off the production line in 2000 didn’t look that different to the very first car. Classic Mini: The rare Monte Carlo model. Following production by BMC, British Leyland and finally the Rover Group, development on an all-new Mini began in 1994, when BMW took over the Rover Group. BMW displayed two new concept cars at the 1997 Geneva Motor Show – the Mini Spiritual and Spiritual Too. These three- and five-door models set a new benchmark for the rejuvenated Mini. In 2001, the Modern Mini was launched, with larger dimensions and faux-historical design. Striking a chord, it proved a huge commercial success. Offered in a sweeping range of colour and trim, buyers lapped it up and called for more. A succession of sportier Minis followed, including the convertible Clubman with a rear-hinged side door, and an updated model with new engines and interior in 2006. When the Countryman came along in 2010, this ‘crossover’ model was the largest Mini ever and also available in four-wheel drive. Despite its detractors, the Countryman has become a global sales hit. The Mini Coupe, the first two-seat model, was unveiled in 2011, with the the Mini Roadster – a convertible version of the Coupe – following hot on its heels. 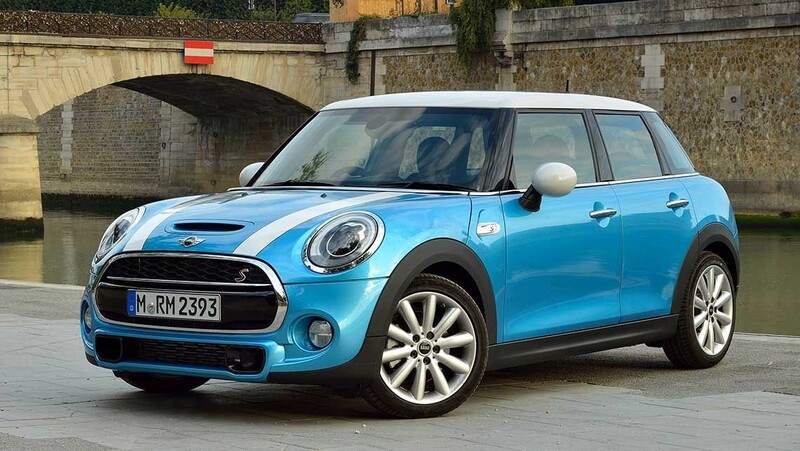 The Mini Paceman – two-door coupe version of the Countryman – hit America in 2013. Classic styling: Although it’s a completely different car today, the new Mini’s are instantly recognisable. Priced from a relatively humble $27,750, the 2015 Mini Cooper (above) is resplendent in a larger, five-door model more appealing to the domestic market than smaller, ‘cuter’ versions less suited to Australia’s rugged conditions. The revamped Countryman and Paceman are also here, offering a range of bang-up-to-date technology options. News on the Street . . .
Word is out that BMW and Toyota are collaborating on a small hatchback model, something like a cross between the Toyota Starlet and the Mini. 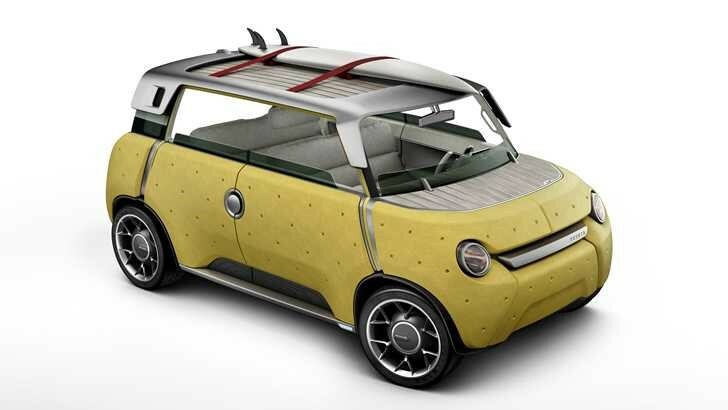 This is rumoured to be the production version of the 2011 concept Mini called the Rocketman. However, you’ll probably have to wait until late 2018 to find out. Worst kept secret: A sneak peak at the next incarnation of the timeless Mini Cooper.